I ordered from BMC Fabric Creations YESTERDAY, and I've already received my beautiful keyrings! I'm actually going to use them as hanging decorations in my home as I think they'd look wonderful displayed this way. 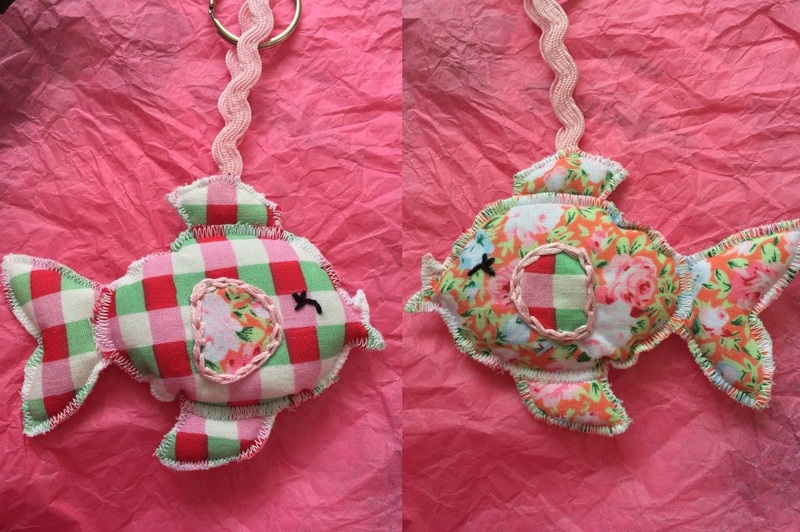 Barbara makes lots of cute fabric keyrings from jellyfish to flowers so there's something for everyone really. Look at how pretty these are! 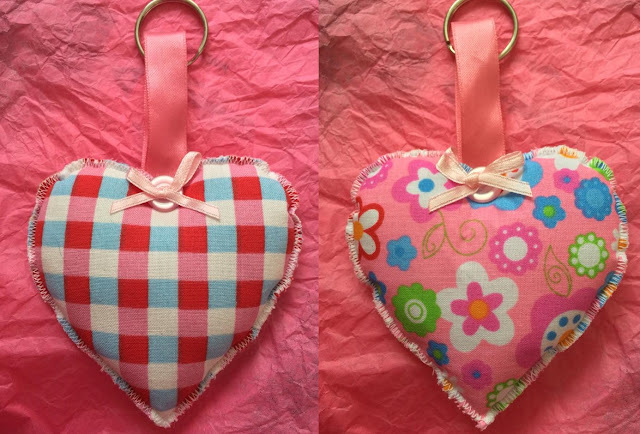 The heart is stuffed perfectly and I love how there's a different pattern on each side so I can choose whichever pattern fits in best with the decor in the room. The little button and bow are so cute too! As for the fishie, this guy is going to be hung in my bathroom. I adore the ditsy floral print so I'll probably have him facing that way. Both of these creations are so precious and well made. Again, I think it's lovely how Barbara uses different fabrics when she makes her items as it gives them a really unique feel. Definitely check out her shop here.